Susan G Moses, D.C., is a chiropractor located in Philadelphia, PA. Take the next step and contact Dr. Susan G Moses, D.C., for a consultation in Philadelphia, PA or to get more information. 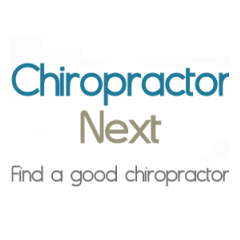 Joseph D Norris, D.C., is a chiropractor located in Philadelphia, PA. Take the next step and contact Dr. Joseph D Norris, D.C., for a consultation in Philadelphia, PA or to get more information. Thomas R Collins, D.C., is a chiropractor located in Philadelphia, PA. Techniques: • Diversified Take the next step and contact Dr. Thomas R Collins, D.C., for a consultation in Philadelphia, PA or to get more information. Carl A DePativo, D.C., is a chiropractor located in Philadelphia, PA. Techniques: • Diversified • Sacro Occipital Technique • Cox Take the next step and contact Dr. Carl A DePativo, D.C., for a consultation in Philadelphia, PA or to get more information. Kathleen Halushka, D.C., is a chiropractor located in Philadelphia, PA. Take the next step and contact Dr. Kathleen Halushka, D.C., for a consultation in Philadelphia, PA or to get more information. Jamil M Zaid, D.C., is a chiropractor located in Philadelphia, PA. Take the next step and contact Dr. Jamil M Zaid, D.C., for a consultation in Philadelphia, PA or to get more information. Lac Dinh Nguyen, D.C., is a chiropractor located in Philadelphia, PA. Take the next step and contact Dr. Lac Dinh Nguyen, D.C., for a consultation in Philadelphia, PA or to get more information. Lynn Evangelista, D.C., is a chiropractor located in Philadelphia, PA. Techniques: • Directional Non-Force Technique • Trigger Point Therapy Take the next step and contact Dr. Lynn Evangelista, D.C., for a consultation in Philadelphia, PA or to get more information. William O'Neill, D.C., is a chiropractor located in Philadelphia, PA. Take the next step and contact Dr. William O'Neill, D.C., for a consultation in Philadelphia, PA or to get more information. Richard Butow, D.C., is a chiropractor located in Philadelphia, PA. Techniques: • Diversified • Pierce • Thompson • Activator Methods Take the next step and contact Dr. Richard Butow, D.C., for a consultation in Philadelphia, PA or to get more information. Thomas A O'Beirne, D.C., is a chiropractor located in Philadelphia, PA. Techniques: • Activator Methods • Flexion-Distraction • Cox • Upper Cervical • Diversified • Toggle Recoil Take the next step and contact Dr. Thomas A O'Beirne, D.C., for a consultation in Philadelphia, PA or to get more information. Marlene Massaro, D.C., is a chiropractor located in Philadelphia, PA. Take the next step and contact Dr. Marlene Massaro, D.C., for a consultation in Philadelphia, PA or to get more information. Robert Z Rush, D.C., is a chiropractor located in Philadelphia, PA. Take the next step and contact Dr. Robert Z Rush, D.C., for a consultation in Philadelphia, PA or to get more information. Richard Racioppi, D.C., is a chiropractor located in Philadelphia, PA. Techniques: • Diversified Take the next step and contact Dr. Richard Racioppi, D.C., for a consultation in Philadelphia, PA or to get more information. Jim Palmer, D.C., is a chiropractor located in Philadelphia, PA. Take the next step and contact Dr. Jim Palmer, D.C., for a consultation in Philadelphia, PA or to get more information. Jeffrey Lance Shusman, D.C., is a chiropractor located in Philadelphia, PA. Techniques: • Activator Methods • Diversified • Manual Adjusting • Impusle IQ Take the next step and contact Dr. Jeffrey Lance Shusman, D.C., for a consultation in Philadelphia, PA or to get more information. Cornell M Yellen, D.C., is a chiropractor located in Philadelphia, PA. Techniques: • Diversified • Neuro Emotional Technique • Chiropractic Biophysics • Nimmo Take the next step and contact Dr. Cornell M Yellen, D.C., for a consultation in Philadelphia, PA or to get more information. Zachary Weiser, D.C., is a chiropractor located in Philadelphia, PA. Take the next step and contact Dr. Zachary Weiser, D.C., for a consultation in Philadelphia, PA or to get more information. John J Izzo, D.C., is a chiropractor located in Philadelphia, PA. Techniques: • Activator Methods • Active Release Technique • Diversified • Palmer Package • Traction Take the next step and contact Dr. John J Izzo, D.C., for a consultation in Philadelphia, PA or to get more information. Richard J Walinsky, D.C., is a chiropractor located in Philadelphia, PA. Take the next step and contact Dr. Richard J Walinsky, D.C., for a consultation in Philadelphia, PA or to get more information. Marc Cohen, D.C., is a chiropractor located in Philadelphia, PA. Take the next step and contact Dr. Marc Cohen, D.C., for a consultation in Philadelphia, PA or to get more information. Farah Fawzi, D.C., is a chiropractor located in Philadelphia, PA. Take the next step and contact Dr. Farah Fawzi, D.C., for a consultation in Philadelphia, PA or to get more information. Jon Decker, D.C., is a chiropractor located in Philadelphia, PA. Techniques: • Palmer Package • Activator Methods • Diversified Take the next step and contact Dr. Jon Decker, D.C., for a consultation in Philadelphia, PA or to get more information. Jamil M Zaid, D.C., is a chiropractor located in Philadelphia, PA. Techniques: • Diversified • Toggle Recoil • Cox Take the next step and contact Dr. Jamil M Zaid, D.C., for a consultation in Philadelphia, PA or to get more information. James Tormey Sr, D.C., is a chiropractor located in Philadelphia, PA. Techniques: • Diversified • Cox • Sacro Occipital Technique Take the next step and contact Dr. James Tormey Sr, D.C., for a consultation in Philadelphia, PA or to get more information. Neil Hollander, D.C., is a chiropractor located in Philadelphia, PA. Techniques: • Diversified • Pierce • Activator Methods Take the next step and contact Dr. Neil Hollander, D.C., for a consultation in Philadelphia, PA or to get more information. Jeffrey A Robb, D.C., is a chiropractor located in Philadelphia, PA. Take the next step and contact Dr. Jeffrey A Robb, D.C., for a consultation in Philadelphia, PA or to get more information. William S Matura, D.C., is a chiropractor located in Philadelphia, PA. Take the next step and contact Dr. William S Matura, D.C., for a consultation in Philadelphia, PA or to get more information. Michael J Abolofia, D.C., is a chiropractor located in Philadelphia, PA. Techniques: • Hole in One • Manual Adjusting Take the next step and contact Dr. Michael J Abolofia, D.C., for a consultation in Philadelphia, PA or to get more information. Robert Nyahay, D.C., is a chiropractor located in Philadelphia, PA. Take the next step and contact Dr. Robert Nyahay, D.C., for a consultation in Philadelphia, PA or to get more information. M Maya Bose, D.C., is a chiropractor located in Philadelphia, PA. Take the next step and contact Dr. M Maya Bose, D.C., for a consultation in Philadelphia, PA or to get more information. David Paolini, D.C., is a chiropractor located in Philadelphia, PA. Techniques: • Activator Methods • Diversified • Gonstead • Traction • Trigger Point Therapy Take the next step and contact Dr. David Paolini, D.C., for a consultation in Philadelphia, PA or to get more information. Charlotte A Tormey, D.C., is a chiropractor located in Philadelphia, PA. Take the next step and contact Dr. Charlotte A Tormey, D.C., for a consultation in Philadelphia, PA or to get more information. Thomas G Lee, D.C., is a chiropractor located in Philadelphia, PA. Take the next step and contact Dr. Thomas G Lee, D.C., for a consultation in Philadelphia, PA or to get more information. Ajaj Musa, D.C., is a chiropractor located in Philadelphia, PA. Take the next step and contact Dr. Ajaj Musa, D.C., for a consultation in Philadelphia, PA or to get more information. Chris Walcott, D.C., is a chiropractor located in Philadelphia, PA. Take the next step and contact Dr. Chris Walcott, D.C., for a consultation in Philadelphia, PA or to get more information. Joel Karmich, D.C., is a chiropractor located in Philadelphia, PA. Take the next step and contact Dr. Joel Karmich, D.C., for a consultation in Philadelphia, PA or to get more information. Edward Keener, D.C., is a chiropractor located in Philadelphia, PA. Take the next step and contact Dr. Edward Keener, D.C., for a consultation in Philadelphia, PA or to get more information. Dawn M Cute, D.C., is a chiropractor located in Philadelphia, PA. Take the next step and contact Dr. Dawn M Cute, D.C., for a consultation in Philadelphia, PA or to get more information. James DeMarino, D.C., is a chiropractor located in Philadelphia, PA. Take the next step and contact Dr. James DeMarino, D.C., for a consultation in Philadelphia, PA or to get more information. James E Moylan, D.C., is a chiropractor located in Philadelphia, PA. Take the next step and contact Dr. James E Moylan, D.C., for a consultation in Philadelphia, PA or to get more information. Alan Weiniger, D.C., is a chiropractor located in Philadelphia, PA. Techniques: • Activator Methods Take the next step and contact Dr. Alan Weiniger, D.C., for a consultation in Philadelphia, PA or to get more information. Garret M Hauptman, D.C., is a chiropractor located in Philadelphia, PA. Take the next step and contact Dr. Garret M Hauptman, D.C., for a consultation in Philadelphia, PA or to get more information. Bertram Jacobson, D.C., is a chiropractor located in Philadelphia, PA. Techniques: • Diversified • Pierce Stillwagon Technique • Gonstead Take the next step and contact Dr. Bertram Jacobson, D.C., for a consultation in Philadelphia, PA or to get more information.